Nebraska offers great opportunities for an HVAC technician or contractor to earn a living. With starting wages around $14.00 an hour and experienced techs making $44,000 a year, it’s profitable. Another advantage is that there is little in the way of licensing requirements, for those who like to avoid paperwork or who are great in the field but not so good in the classroom or taking exams. HVAC technicians themselves do not require a license. Under the Nebraska Contractor Registration Act, all contractor doing business in the state must be registered. If you have employees, you’re required to submit an ACORD 25 - the Workers’ Compensation Certificate of Insurance. Be sure to keep this up to date, or you’ll be removed from the list of registered contractors. You can find more information on the registration process at the state’s Department of Labor website. This is a business registration process, not a certification as an HVAC worker, so there are no HVAC-specific requirements or testing involved. In all cases, there is a federal requirement for anyone who works with refrigerants to be certified by the Environmental Protection Agency. EPA Section 608 offers various levels of certification, depending on the type of appliances you’ll be working with. Our article on EPA certification will help you learn more about this requirement. It is required and valid throughout the United States. One of the great things about it is that it never expires! If you are responsible for testing or changing refrigerants in motor vehicles, a different classification applies. You should check out EPA Section 609. 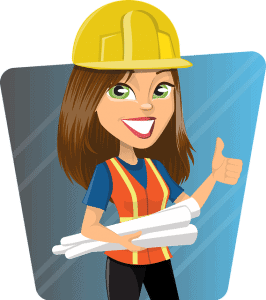 Nebraska needs skilled and qualified HVAC professionals throughout the state. If this is your field of interest, you can get your start as an apprenticeship and move up, perhaps eventually owning your own HVAC business. Only at that level do you have to worry about state business licensing. So if you’re a proud Cornhusker, be sure to learn your trade well and look forward to a great career! Does New Hampshire Require An HVAC License?